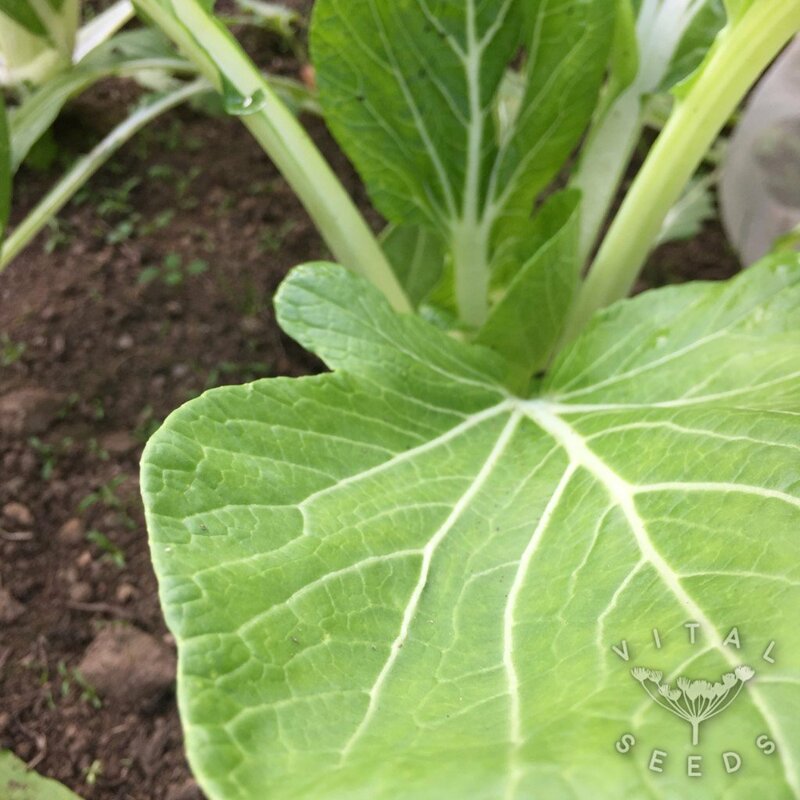 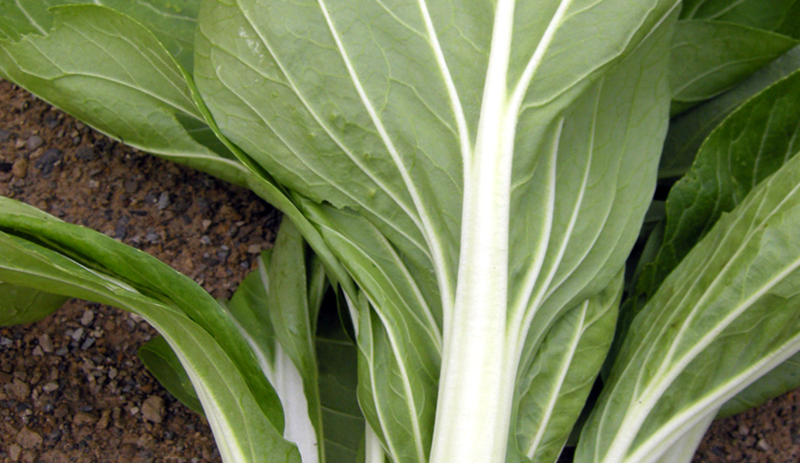 An heirloom pak choi variety with juicy fat white stalks and dark green spoon shaped leaves. Also known as ‘Boo Toy’, ‘Horse’s Ear’, ‘Japanese Celery’ or Pak Choi looks like a squat fat celery with dark green spoon shaped leaves. You can eat all of the plant above ground and it’s delicious with sesame oil, chilli and steamed rice. 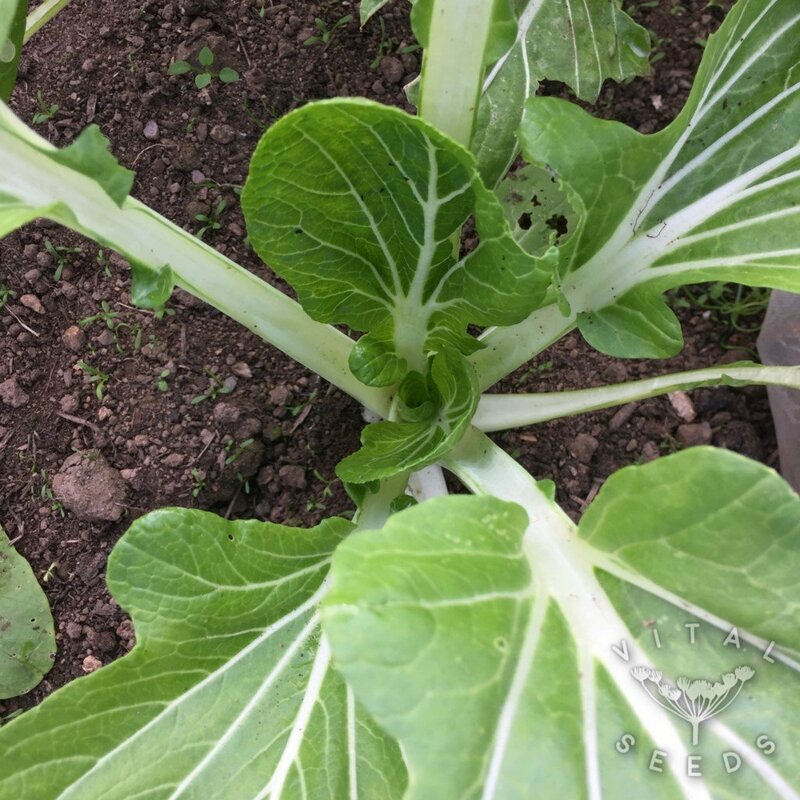 Tai Sai grows well in colder conditions and can be used as cut and come again or as a more mature plant later in the year. Any ideas as to why it’s called Horses Ear, we would love to hear!